Under the hood of both versions of the Galaxy S4 lies a 2600mAh battery, which is more than what the competitors of the device currently pack. We were wondering whether the Exynos chipset reaps any benefits from the eight-core big.LITTLE architecture compared to the quad-core Snapdragon sibling. Surprisingly, the Snapdragon variant did really well in our set of battery tests. It proved that both Samsung and Qualcomm had done a phenomenal job of optimizing the software and hardware parts of the phone. The eight-core version, on the other hand, posted considerably worse results than its sibling. 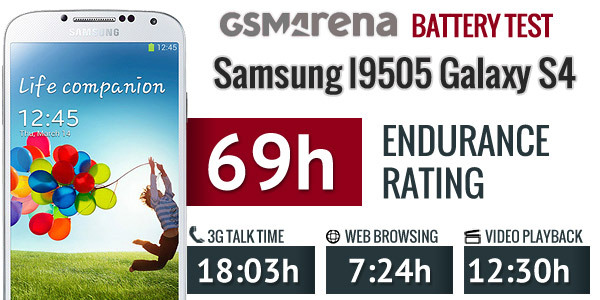 Starting with the talk time battery test, the Galaxy S4 Octa managed to achieve 11 hours and 1 minute versus over 18 hours and 3 minutes on the Galaxy S4 600. It is in this test where the screen is switched off and the main processors are free from any substantial computations, that you can really tell that the Exynos 5 Octa still needs a lot of work. Moving on to the web browsing test, which not only stresses the chipset, but also takes its toll on the Super AMOLED displays with the predominantly white webpages it packs. Here, the Exynos 5 Octa did a much better job than it did on the call test, but it still fell behind the Snapdragon 600 version, though not by that much - it lasted only half an hour less. Video playback is mainly a task for the GPU and in the video playback test the Galaxy S4 Octa delivered an hour less than the Galaxy S4 600. At 11 hours and 29 minutes, it still put out a respectable performance and is far ahead of the rest of the Android competition. 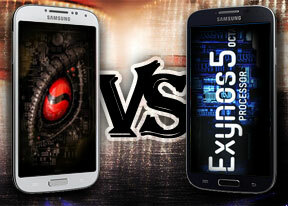 Clearly, the Exynos 5 Octa and its quad Cortex-A15 and quad Cortex-A7 cores have a lot of potential. Samsung is just starting to harness their power and to get the most out of both in terms of power output and optimization. Unfortunately, as things stand right now, the Exynos chipset is far from besting the Snapdragon chipset in the battery performance department. We have got to remember that the octa-core chipset did a little better with the benchmarks in the performance section however that's not enough to warrant the real-life difference in the battery life. It would be interesting to see whether Samsung would be able to improve on the performance/battery life ratio of the octa-core edition some moment in the future. 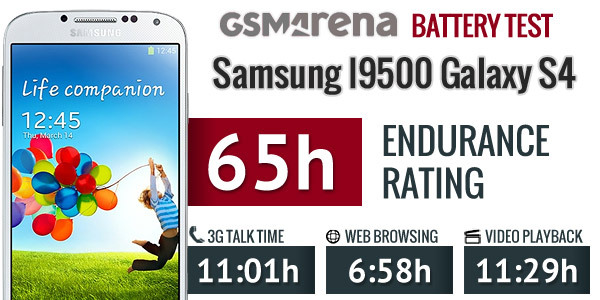 At this point in time, the Galaxy S4 i9505 packs an endurance rating of 69 hours as opposed to the Galaxy S4 i9500 having a rating of only 65 hours.